I’ve spent some time writing blog posts about not-so-important topics and hoping someone will read them. Now, it’s time to write a letter about an issue that is important to me and hope that someone reads it. WRITE A LETTER TO MAKE A DIFFERENCE. I’ve never written a letter to any of my congressional representatives. I did make some calls earlier this year about a certain nominee for Secretary of Education but it appears that no one listened. I certainly never wrote about anything important to anyone as a kid. I did write a fan letter to my favorite local dirt track race car driver when I was probably 10-years-old. He sent me a brief note and a signed picture in return. As a teen, I wrote to the movie reviewer at the Daily Oklahoman basically to ask him what I needed to do to get his job! He wrote back and was both kind and encouraging. Those letters were definitely in the self-serving column. Time to do something for someone else. The 100 THINGS TO DO BEFORE YOU GROW UP book says that even before you can vote you are “definitely old enough to express your opinions and create positive change”. I’m definitely old enough vote, let’s see if I can create positive change. 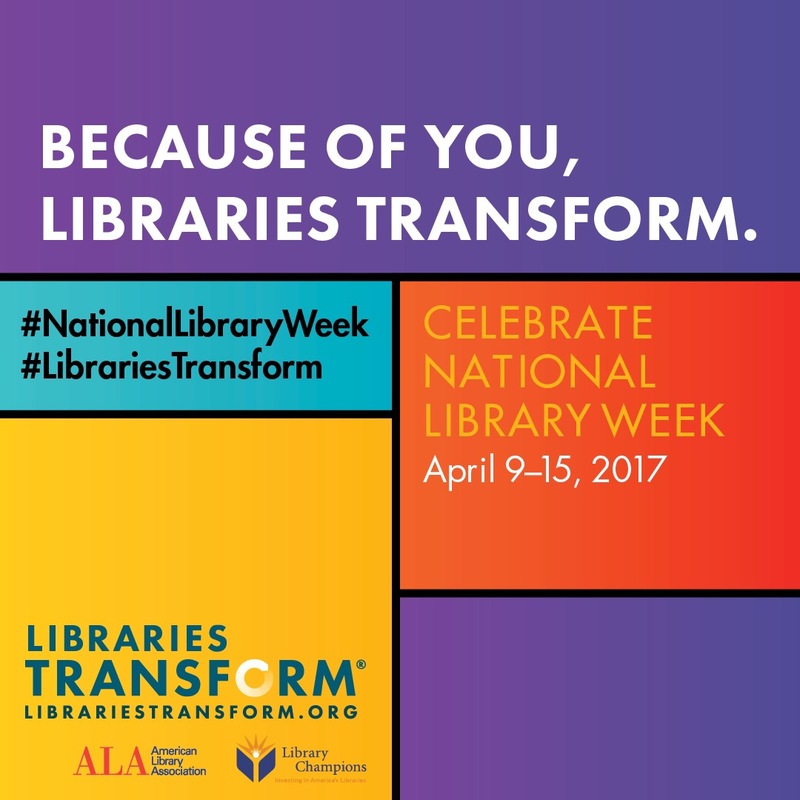 Today, April 13, 2017, is the first Take Action for Libraries Day. I’ve written letters to my Congressman and Senators asking them to commit to saving federal library funding in Congress. I’m under no illusion that my letter alone will create change. However, I’m hopeful that my letter joined with the letters, emails and phone calls of others might lead to something positive. It wasn’t hard to write a letter advocating for libraries. I believe in libraries and the essential role they play in the communities they serve. How about you? Do you put pen to paper to try to affect change? Have you ever contacted your representatives to share your opinion? I’d love to hear about it if you have! Before you go…I’ve included the text of my letter below. I’ll admit I used one small section from a template written by the American Library Association demonstrating what to say when advocating for libraries but the rest comes from my heart. “It is no surprise that as a Youth Services Librarian I believe in the power of libraries. I’m not sure if you are a library user but, if you are not, let me paint of picture of what happens everyday in our public libraries. Everyone knows that libraries provide free access to books, but a library offers so much more to the community it serves than just books. Everyday in our libraries children and parents in early literacy story times are encouraging the skills kids need to be ready to learn to read, teenage volunteers are gaining valuable work experience, distance education students of all ages are working on online classes on the only computers they have access to, unemployed and under-employed adults are working on resumes and applying for jobs, students with public school issued devices are using free wifi to complete homework assignments, homeschoolers are accessing online resources and databases and families are attending free cultural and community events. Libraries add value to their communities everyday in more ways than I have time to list. Many people rely on their libraries as a way up, a way out and often the only way forward. The President has proposed eliminating the tiny amount of federal money ($183 million) provided to every state in the country for small, innovative, community-building grants – hundreds every year– by eliminating the Institute for Museum and Library Services (IMLS). In 2016, North Carolina libraries received $4,229,540 for everything from workforce recovery efforts to computer programs for homeless populations. I am also a parent and a military spouse. I support defense spending and understand the necessity for a strong military. However, the $183 million saved by cutting ALL federal funding to museums and libraries will not even begin to help fund a $54 billion increase in defense spending. Val, this blog is your best so far. The reason why I enjoy reading is because it inspires me to do something. – anything. Take action. Get moving. Stop talking. As a single mom when my kids were little we used the library a lot – my girls loved getting books – something free that made them feel special. As a result all three of my girls are HUGE readers. Olivia tested post high school reading level in the 6th grade as a result of many trips to the library. In fact, when we lived in SD – Raegan would have to walk home from school in 7th grade and would stop on her way home at the library – partly because she was frozen but also because she would look at the movies and books…thank you for your pursuit of literacy and learning Val.